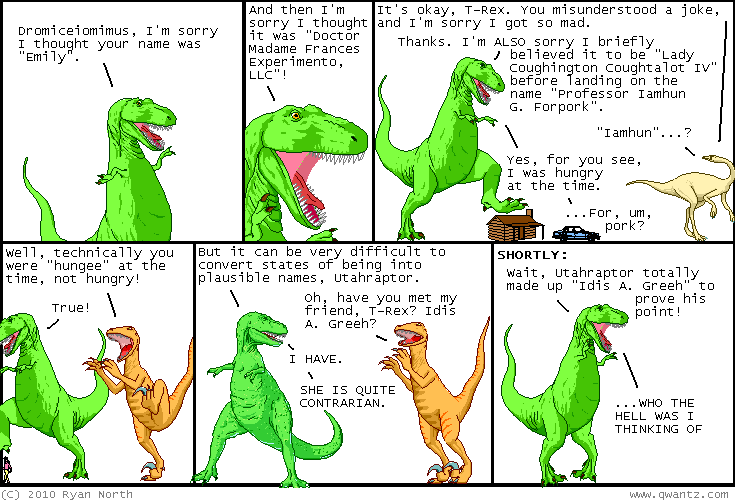 Dinosaur Comics - May 20th, 2010 - awesome fun times! May 20th, 2010: JOEL UPDATE: Still no news from Joel. His site was last updated 10 years ago; a lot can happen in 10 years. Is he still around? Is he still big into KoRn jpgs? Is my interest in him ENTIRELY UNHEALTHY? ?